Travel transforms how we look at the world. It may be the taste of a new cuisine, gazing at a skyful of infinite stars or standing heart stoppingly near a mountain gorilla in the Rwandan wilds. Some journeys have more life- changing elements than others, possibly because they unfold in wilder places, are more imaginatively crafted or are locales like no other - or simply because the traveller is in a personal season of life to embrace that city, terrain or adventure. For 2016, these are two lists of desirable destinations and travel concepts distilled from the suggestions of travel specialists and seasoned travellers, laced with some of my experiences. The wonder is that the world is hardly poor in transforming journeys, and more will surely arise as the year rolls on. Some countries are enticing because they have been forgotten by time, often due to political isolation. Cuba, notably, is filled with colonial cities and revolutionary fervour, though the Caribbean island is slowly opening up now that the United States is ending its Cold War diplomatic freeze. Myanmar, Bhutan and North Korea - and parts of Iran, Oman and other lands if travellers look closely - belong to this rarefied realm. This "disappearing world" enchants travellers - and hoteliers - on a quest for final frontiers. The Banyan Tree Hotels & Resorts group is launching four projects in Cuba. The first will open in the middle of this year in Cayo Las Brujas - which has long stretches of coral reefs - under its new Dhawa (www.dhawa.com) brand of eclectic chic hotels. Mr David Spooner, the group's vice-president of sales and marketing, says: "Cuba is a magnificent, vibrant country that is still largely undiscovered. Meticulously preserved, it has colonial cities with grandiose squares." He also highlights "Cuba's musicality of African and Spanish beats", stunning landscapes and warm people. For Mr Chang Theng Hwee, managing director of Country Holidays, Cuba, perhaps the most contradictory place in the world, is a transforming experience. "It's a communist last bastion right at the doorstep of the United States,'' he says. "Havana is like a huge auto museum with colourful 1950s convertibles. Cuban kids who have yet to learn their ABCs know the country's revolutionary heroes well." Singapore travellers can fly to Havana via European or United States cities. Recent events have thrust Cuba and Iran into the 21st century and travellers are making inroads there before they modernise. "To a certain extent, Myanmar and Bhutan are at the end of this phase while North Korea could be the next," he notes. Myanmar, with its isolated seascapes, ancient pagodas and even snow-capped mountains, is within reach of Singapore travellers. The country, which ended 50 years of army-imposed isolation around 2012 and is now on a new political path with opposition leader Aung Sung Suu Kyi's party preparing to form the new government, is big news again. On my Yangon visits, when I sat on a low stool sipping milky tea under a towering tree or was hosted by a kind stranger, I was struck by its old-world atmosphere, gracious people and winds of change. Transitioning between eras, Myanmar and other lands of the disappearing world have a transience and nostalgia that appeal to travellers desiring to step back in time. 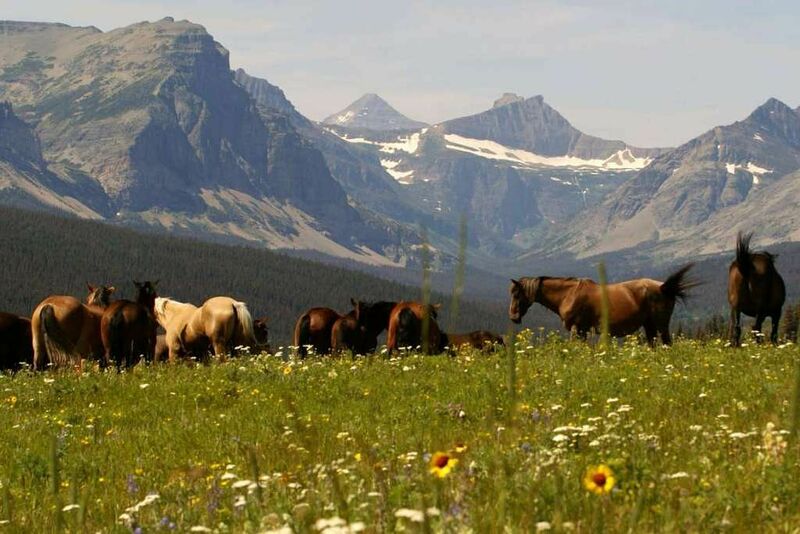 America's national parks are places of wild beauty that set the senses a-tingle. Travellers will enjoy year-long supersized celebrations as the National Park Service (www.nps.gov) - custodian of natural splendours from canyons to deserts - will turn 100 in August. Free admission to all 59 national parks during the opening weekend on April 18 and 19 and an inspiring Imax movie narrated by actor Robert Redford to be released globally next month are two highlights. Lonely Planet has placed the United States on its coveted Best in Travel 2016 list, a choice that resonates fully with me. When I lived in the US for a decade-plus, I loved summer road trips when I would experience the immensity of the country and linger in national parks. I remember the sensation of walking through the otherworldly volcanic landscape of Big Island in Hawaii and boating among the glaciers of Alaska, myself a tiny figure in the vastness, a transforming experience. Standing on the rim of the Grand Canyon, I realised its wonder did not diminish on a second visit. The alpine meadows of Mount Rainier near hip Seattle, the winding Skyline Drive of Shenandoah in Virginia and the ethereal pastel hues of the Painted Desert in Arizona still stir my imagination, half a world away in Singapore. While these parks are set deep in the wilderness, exploring them on day-trips is possible, as the US is rich in road infrastructure and inns. In July, President Barack Obama designated three new national monuments in places of exceptional beauty, including the Basin and Range National Monument - encompassing regal mountains in Nevada - which conveys the rugged story of native Americans and settlers. I enjoy the great outdoors as much as its exciting cities which are often also green havens. Las Vegas, for instance, may be an artifice of brash casinos and show business, but it is also a two-hour drive to the new Basin and Range National Monument, and a south-west gateway to the Grand Canyon and Death Valley. On majestic Lake Mead, 20 minutes from Las Vegas, fun-lovers cruise and play water sports. Trafalgar (www.trafalgar.com) has several national park itineraries, including the canyonlands. The country's array of splendid parks and cities reminds me of America The Beautiful, a song idealising the alabaster cities and shining seas of the US. Super-rich Chinese who have cultivated a taste for the best in life are powering a boom in Chinese luxury resorts. This is a plus for international travellers who love to vacation in style in China. China's cohort of high net worth individuals burgeoned to more than one million in 2014. This is double the figure four years ago, according to a Bain & Company report. While these affluent Chinese, who have investable assets in excess of 10 million yuan (S$2.2 million), love going afar to Antarctica and the Maldives, they also spend on lavish domestic stays. Mr Mark Passmore, general manager of The Temple House Chengdu (www.thetemplehousehotel.com), which is part of the Swire Hotels collection, notes that 80 per cent of his guests are mainland Chinese. 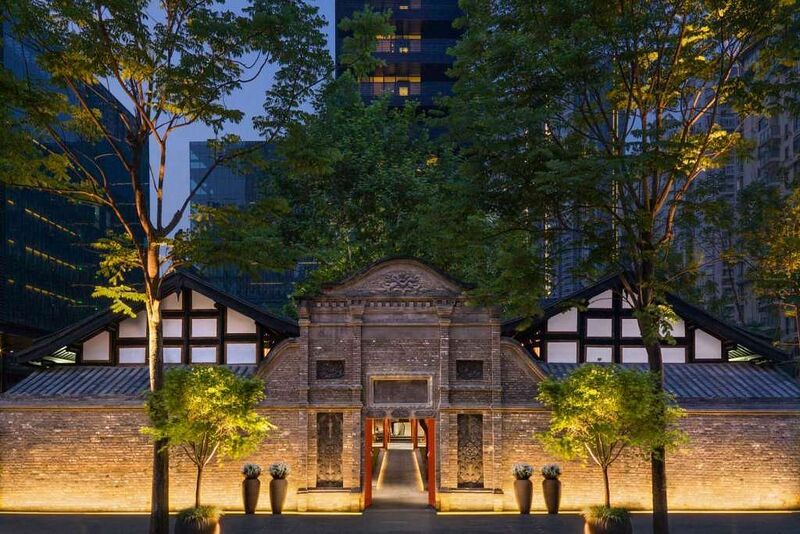 His new hotel is composed of a late Qing dynasty heritage building with a sequence of courtyard gardens, bordered by two modern medium-rise buildings. Rates start at 1,282 yuan. Aman, Six Senses, Alila and other luxury brands have also planted or have a pipeline of plush properties in Chinese cities and the scenic countryside. The home-grown Banyan Tree group (www.banyantree.com), which celebrated its 10th year in China last October, has 14 properties there. This year, Singapore-based Alila Hotels and Resorts (www.alilahotels.com), which manages a dozen properties in Bali, Oman and elsewhere, will launch its first Chinese resort set amid white-tea plantations in Zhejiang. By 2018, its boutique properties will nearly triple, with the biggest pipeline in China. Ms Doris Goh, chief marketing officer (Asia) of Commune Hotels + Resorts which has a strategic alliance with Alila, says Alila has enjoyed a steady influx of wealthy Chinese travellers to their resorts, and they gave Alila its first projects in China. These sophisticated Chinese believe in green environs, she says. They are open to the ethos that "luxury is an inner sanctum where one can feel most at peace and at one with nature", she says. Three luxury hotel brands in China are listed on TripAdvisor: Banyan Tree, Swire Hotels and Six Senses. The jump in page views in 2015 - for properties such as Banyan Tree Huangshan, The Temple House Chengdu and Six Senses Qing Cheng Mountain - was more than 100 per cent year on year. "Besides large cities, these luxury properties are located in tier-two cities or places with famous landscapes, such as Huangshan, Yangshuo, Sanya, Xi'an and Lijiang," says a TripAdvisor spokesman. I love vibrant Chinese cities and my journeys to the untouched realms beyond them, notably the Himalayan foothills where Tibetans dwell in Sichuan, and can imagine how fusing local and luxe in elegant resorts will amplify anyone's travel experiences. Wildlife encounters have a special appeal, possibly because Singapore is a hyper-urban speck of an island. African safaris are the ultimate for vacationers but, if we think about it, the world abounds in many other wildlife adventures near and far. Near Singapore, there is a new manta ray sanctuary in Indonesia's Coral Triangle that includes the remote Rajah Ampat islands, while rare leaf monkeys dwell in the less-explored Popa Mountain National Park in Myanmar. The curious, and the deep-pocketed, can also travel to the ends of the world to spy polar bears in the Arctic. Or island-hop in the Galapagos where creatures, from sea lions to tiny finches, have curiously lost their fear of humans. Such excursions, sure to restore a sense of wonder, are designed by specialist companies such as Natural Habitat Adventures (www.nathab.com) which works with the World Wildlife Fund. Mr Chang Theng Hwee, managing director of Country Holidays, sees a distinct trend of travellers enjoying wildlife encounters and pristine wilderness in style. "Imagine being in the middle of nowhere and having the whole of Mother Nature at its best all to yourself, and yet being able to indulge in modern luxury and pampering. "Take a charter flight to the remotest corners of the world and boutique luxury lodges await." Africa has some of the best lodges, he notes, and also Peru and Chile, New Zealand and Australia, the United States and Canada. Stylish or not, the possibilities for wildlife holidays are richly varied. Nature-lovers can whale-watch along the ethereal coastline of Vancouver Island in Canada - or look for playful pandas in the Sichuan bamboo forests of China. There are sanctuaries for orang utans in Borneo, leopards in Sri Lanka, tigers in India, penguins in New Zealand, kangaroos in Australia, birds in Costa Rica - and more habitats for creatures great and small elsewhere. I know my own wildlife experiences have have been life-changing. 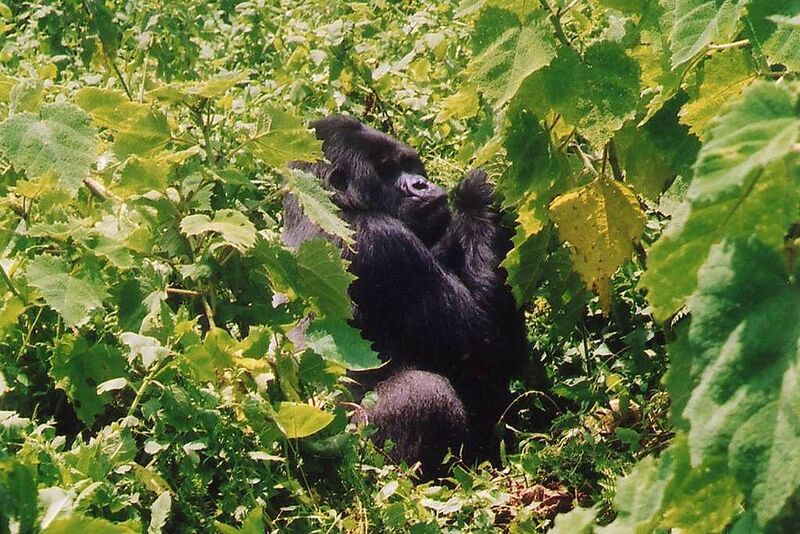 Nothing prepared me for the surreal sight of mountain gorillas in Rwanda. There was also the thrill of a South African safari, the Galapagos islands which I found Edenic, and the surprise sighting of orcas in Kamchatka. But there was also the futility of trying to spy snow leopards on a Mongolian mountain, after camping tent-less on its slopes for 36 hours. And yet my Mongolian journey was a quest and that made it as extraordinary as any wildlife sighting. Oman is more than a fabulously rich oil-producing Arabic nation that is defined by timeless deserts. The tiny sultanate in the Gulf is often a surprise for visitors, with its fjords and canyons, pomegranate orchards and family-run rose water distilleries, hospitable locals and maritime heritage symbolised by Sinbad the Sailor. In recent years, Oman has embraced tourism and is highlighting the country as an adventure, leisure and business destination. For instance, the Omani government has built safe roads to the Jabal Akhdar mountains, which were a military base until 2005, kept pristinely out of bounds to all except villagers and permit-carrying visitors. 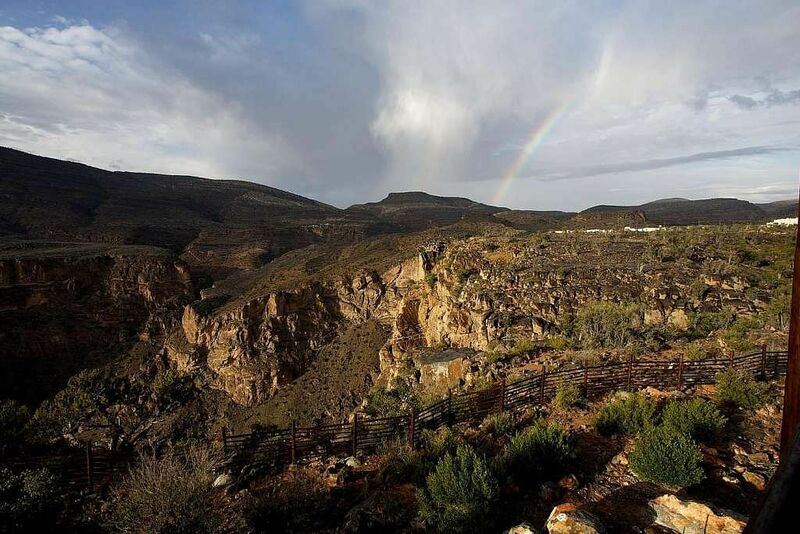 Known for its rose water, canyon walks and Friday goat market, the area is now a protected sanctuary. Last year, Singapore-based Alila Hotels and Resorts (www.alilahotels.com) was the first luxury brand to open a property there. The Alila Jabal Akhdar resort sits on the edge of a canyon, and is a 21/2-hour drive from the capital, Muscat. Ms Doris Goh, chief marketing officer (Asia) of Commune Hotels + Resorts which recently formed a strategic alliance with Alila, describes Oman's appeal: "Oman is the oldest independent state within the Arabian world and today is one of the few culturally vibrant Islamic countries that presents a safe harbour in the Middle East." Among the varied Omani attractions - suggested by Ms Goh, TripAdvisor and CrescentRating (www.crescentrating.com), a Singapore-based authority on halal travel - are the Wahiba Sands desert, where visitors can camp under stars. There are stunning sinkholes such as the Bimmah, a cavernous limestone bowl with emerald water. In the fjords of Musandam, traditional dhows take visitors on day-long cruises past limestone mountains and tiny villages. Ms Goh says: "Oman's dramatic coastline with its secluded coves, beautifully sandy beaches, enchanting islands and rich marine life is best explored by sea. "Centuries ago, Omani seafarers dominated the Indian Ocean. Did you know that the legendary Sinbad was an Omani sailor who sailed in wooden dhows to expand the Gulf sultanate's reach as far south as Zanzibar in East Africa?" A TripAdvisor spokesman describes Oman as "an under-rated destination" that is perfect for adventure travellers. Country Holidays (www.countryholidays.com.sg) and Lightfoot Travel (www.lightfoottravel.com) have designed several Oman itineraries. Under-rated aptly describes Oman's siblings in the Gulf as well. Qatar, for instance, is fine-tuning its infrastructure for the 2022 Fifa World Cup, which enhances the experience of travellers seeking souks, sands or shopping. Dubai keeps piling on new attractions such as the IMG Worlds of Adventure (www.imgwoa.ae), opening soon, that includes a Lost Valley of "roaming" animatronic dinosaurs. Legoland (www.legoland.com/dubai) will have interactive rides and plastic-brick replicas of Middle East buildings in October. I know my trips to Oman, Qatar and Dubai have profoundly changed the way I look at the world, revealing nations that are relentlessly modernising and fun, but are also old worlds. Godzilla, glamping and a speedier journey to popular Hokkaido are new reasons to explore Japan this year, not that Japan admirers in Singapore need much persuasion. On March 26, the Shinkansen bullet train route from Tokyo to Hakodate on the northernmost island of Hokkaido will be launched, after a decade-plus of construction. Travel time will be four hours and 10 minutes, shrinking the current journey of five hours and 50 minutes by close to a third. For now, visitors usually fly to Hokkaido, for its wintry vistas and ski slopes. In other seasons, Hokkaido appeals with its lavender fields that can be toured by hopping onto the Furano-Biei Norokko train. There is also whale-watching on the Shiretoko Peninsula while the capital, Sapporo, is enjoyable for its culinary scene, art park and beer museum. The Shinkansen to Hokkaido is one strand of Japan's ramped-up preparations for the 2020 Olympics, along with new air routes and luxury hotel openings, according to the Japan National Tourism Organisation (www.jnto.org.sg) which has created a web page on what is new this year. Japan's first glamping hotel, Hoshinoya Fuji (www.hoshinoyafuji.com/en), which opened three months ago, is set in a hidden red pine forest near Mount Fuji. Guests will wander on forest trails, relish local snacks smoked in wood chips of their choice and sleep in stylish rooms. Amanemu (www.aman.com/resorts/amanemu) will open early this year in Ise Shima National Park in the central Japanese prefecture of Mie. Perched on the shores of Ago Bay, where oyster divers plunge into the "Bay of Pearls", and positioned near the famed Kumano Kodo pilgrimage trails, Amanemu is the first hot spring resort by the luxury brand Aman. Mountains form 72 per cent of Japan's land mass and a new Mountain Day will debut on Aug 11, the busiest day for Mount Fuji treks. Japan is more and more popular for snow sports and mountain treks and the new holiday is to spur even more mountain appreciation. The first Japanese-made Godzilla movie in a dozen years will be screened in Japan in March and Godzilla-themed rooms can be booked in the Hotel Gracery Shinjuku (shinjuku.gracery.com) from April - if anyone can sleep a wink with a disembodied giant paw looming over the bed. Also new: Universal Studios Japan (www.usj.co.jp/e) in Osaka will roll out The Flying Dinosaur, the world's longest roller-coaster track that also has record drops of 37.8m. Then on Nov 7, the Tsukiji fish market will relocate to sparkling premises in Tokyo's Toyosu district. Meanwhile, the Japanese yen is still relatively low, another inducement for travel. 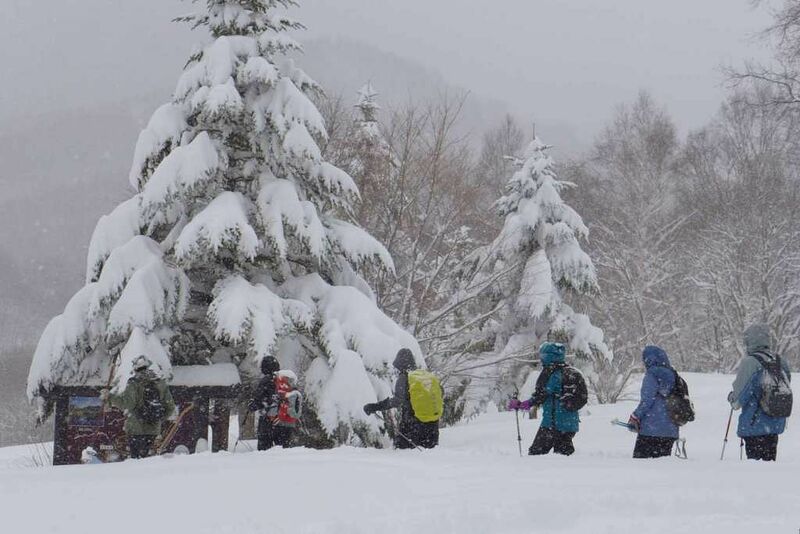 I have found that walking in the less-explored far north of Japan and snow-shoe trekking in the all-white Snow Country of Nagano with the Walk Japan adventure company (www.walkjapan.com) are perfect ways to enjoy the land - especially with an onsen, kaiseki feast and storytelling to cap each day. Walk Japan is starting a new tour to the spring-filled Izu Peninsula by the Pacific Ocean. Like many Singaporeans, I find a fresh lustre in the cities, cuisine and lifestyle of Japan on every visit. An endless land of dreamy cities and wilderness that astonishingly spans 11 zones or half the world, Russia is full of possibilities for travel. It is not inaccessible, however. The capital Moscow is a direct flight of about 11 hours on Singapore Airlines (www.singaporeair.com), while its far east regions lie just above Japan and Korea. Several Asian airlines including Korean Air (www.koreanair.com) fly to the mountain-clad city of Vladivostok in the east. From this month, visitors to Vladivostock, a free port zone covering 15 municipalities, will enjoy a simplified visa-on-arrival for up to eight days of travel. Russian jaunts also cost less these days. With the decline of the rouble last year, Russia is awash with travel deals, except possibly for tours that are priced in US dollars. Media executive Fen Chia, 32, a Russophile who spent a month in Moscow last July on a summer school programme, thinks the vastness and diversity of Russia make it a land of extremes. "It's the largest country in the world straddling both Asia and Europe, with a wealth of ethnicities, religions and geographies,'' she says. "Even Russians will never go beyond visiting a small fraction of it and this sheer impenetrability makes it so fascinating." Russia's fascinating layers have intrigued me since my first trip to Moscow and St Petersburg during the Cold War. A couple of years ago, I trekked in summer snow and camped on tundra among reindeer herders in Kamchatka (www.travelkamchatka.com), an isolated peninsula in the Russian far east. 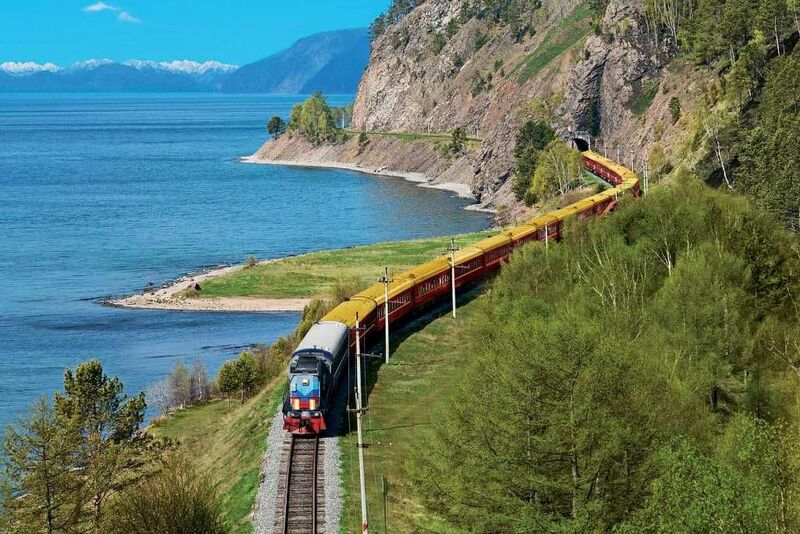 On the Trans-Siberian train, last year, I loved the beautiful Siberian cities that rose out of nowhere. The railway, which was completed in 1916, marks its centennial this year. These were transforming journeys and many places remain to be savoured - from parts of ritzy, everchanging Moscow to less-explored Asiatic provinces. Popular places listed by TripAdvisor are Moscow, St Petersburg and Pushkin. A TripAdvisor spokesman recommends St Petersburg which offers enough art, night life and fine dining for "many repeat visits". Ms Chia, who also visited Russia in 2011, thinks Singaporeans will enjoy its wide open spaces, also found in cities. "Communism fell relatively recently, so Russia is still very much in transition," she says. "The mix of old and new and constant instability have created a refreshing uncertainty and sentimentality that does not exist in Western Europe. "Standing on Russian soil makes you feel like something could happen at any moment."